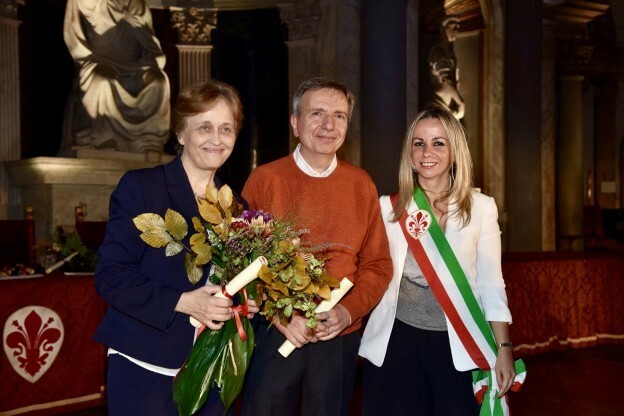 The City Council of Florence and other important cultural and scientific institutions of the City awarded yesterday night at the prestigious Palazzo Vecchio Salone dei Cinquecento the city’s ambassadors on the congress market, who contributed to bringing important events to the city. It is an official recognition dedicated to the personalities of the academic and professional world who have worked to promote the acquisition of congresses and events with a strong economic impact for the city. Just think that in 2017 there were 15,859 events organized in the metropolitan city of Florence, with an increase by 3.17% on 2016; while the number of visitors grew by 10.6% (1,824,986), with an average of 72 participants per event. 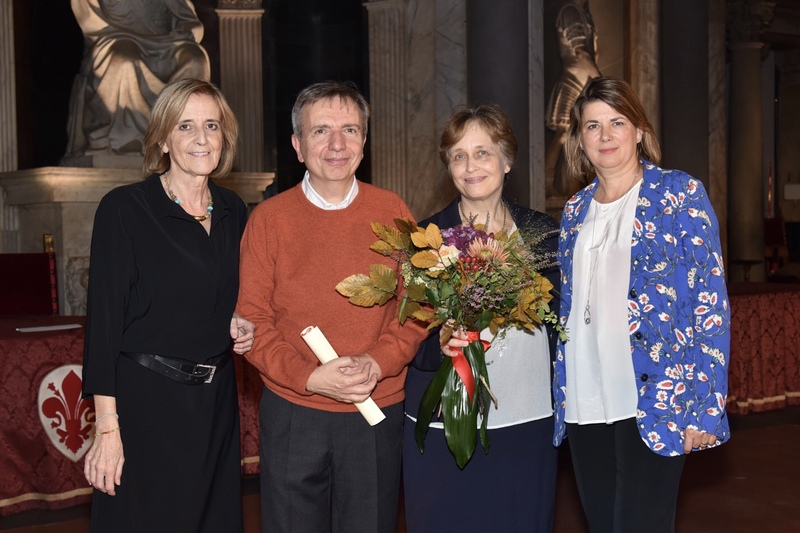 AIM Group participated in the awards organisation and had the pleasure to give the grant to two professors with whom collaborates on important scientific events. One is Antonio La Torre, Medical Director at SOD of Neonatology of Careggi University Hospital in Florence and President of the Neonatal Ultrasound Course - Why, how and when an ultrasound image? (20-23 March 2018) and of the First Steps in Neonatal Brain Ultrasound Course: an amazing, adventurous journey! (19th March 2018). The other one is Silvia Favilli, President of the XLVIII National Congress of the Italian Society of Paediatric Cardiology and Congenital Cardiopathies and Head of FF SOC Cardiology at Meyer University Hospital in Florence. The national congress will be held in Florence on 25-27 October 2018 and thanks to a rich scientific programme – which includes CME accredited courses, many interactive parallels sessions, clinical cases analysis, brief oral presentations and a vast posters area – will help the 400 physicians and health professionals focusing on the new researches and treatments for the baby patients.